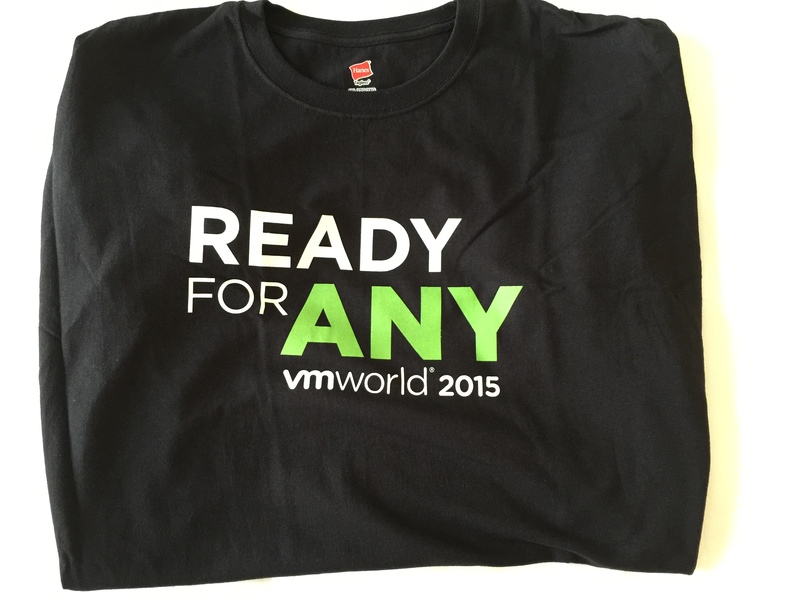 So once again VMWorld is on, and I’ve been around the Solutions Exchange once to collect T-shirts. There are probably quite a few that I didn’t get, so feel free to tweet me new ones. 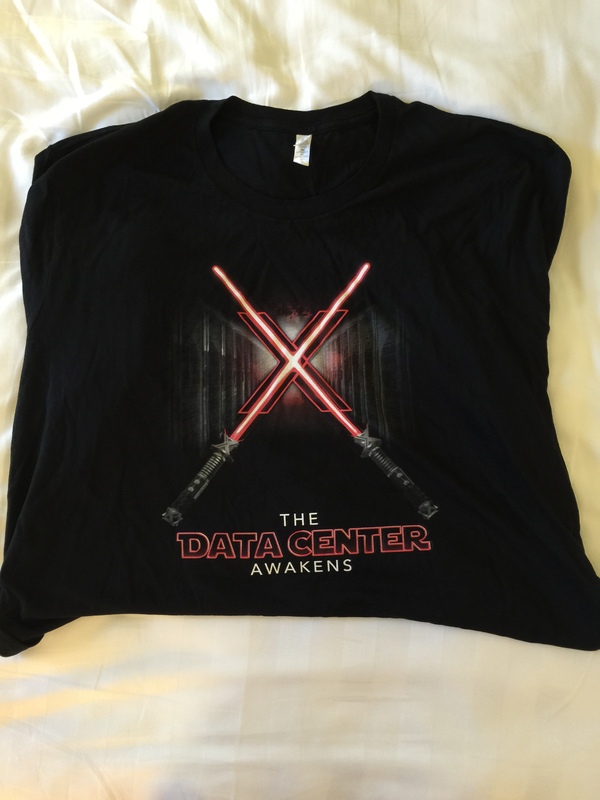 Quality: Once again VMware does use a very nice quality shirt, that feels soft and looks like it can withstand quite a few washings. 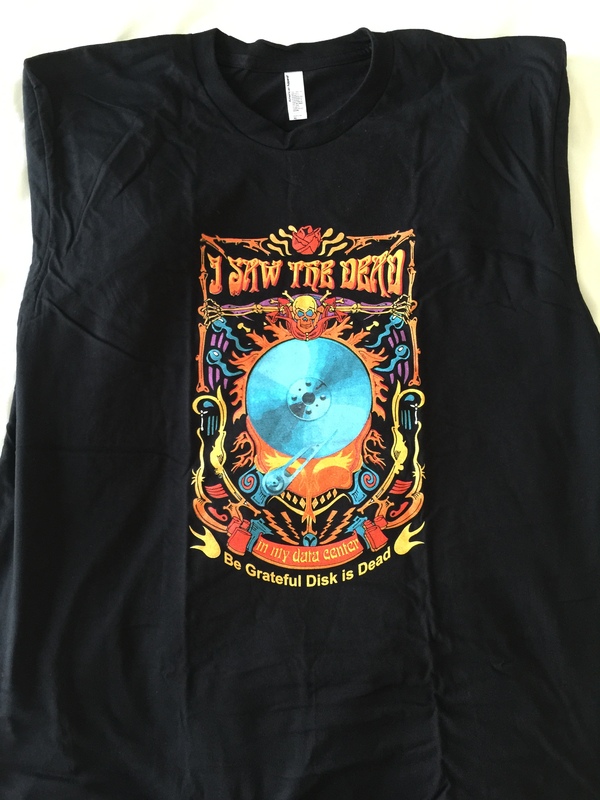 Quality: A very nice quality shirt, probably the best quality I’ve seen this year. Conclusion: Giving this shirt an 8 out of 10 for quality and print, however that they didn’t make them in 2XL drags down. Quality: A reasonably nice quality Shirt, that however doesn’t feel like it will keep in shape after a few washes, but very soft. 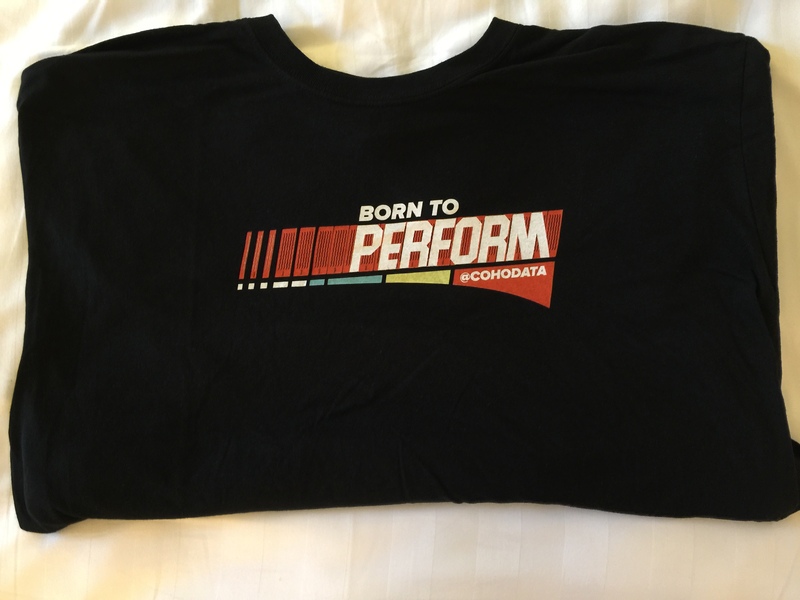 Print: An almost Back to the Future looking print that says Born to Perform. And the back a Simple Coho Data logo. Conclusion: Dragging down is the quality, but It might change after I have washed it a few times.